These are the most common pun circulating around the social media circle in the Philippines so far popularized by today’s most famous love team: Aldub. “Aldub you” sounds like “I love you,” “Mainenamahal kita” is a pun for “minamahal kita,” a Tagalog expression that translates to “I am in love with you” and MaAlden kita is equal to Tagalog’s “Mahal din kita or “I love you, too” in English. What or Who is Aldub? For your information, in the Philippines, the names of each person in a love team is combined to form a unique name (or as in the case in Hollywood). Aldub stands for Alden and Yaya Dub. This love team started middle this year in the noon time show, Eat Bulaga, in their segment called Juan for All, All for Juan, wherein some of the show’s hosts go to different provinces for a noon time game. One day, different characters were introduced in the game segment to probably create a different feel to the show. They are: Lola Nidora, a rich old lady played by a man, Wally Bayola, Frankie, a rich person played by Jose Manalo and Yaya Dub, played by the popular dubsmasher, Maine Mendoza. (Yaya means nanny in English). Who is Alden and Yaya Dub? Maine Mendoza, the Dubsmash Queen, aka Yaya Dub, is an online personality who got popular due to her crazy dubsmashing skills. She has several dubsmash videos that reached million of views already. She was then signed to be casted in Eat Bulaga’s segment, Juan for All, All for Juan as the snobbish, dubsmashing nanny of Lola Nidora. 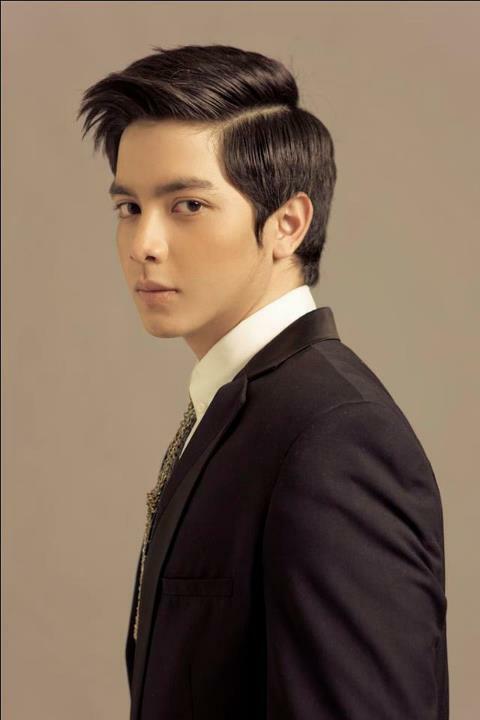 Alden Richards, also called Bae Alden, is a young heartthrob who is also a regular host of Eat Bulaga. During the Juan for All segment, Eat Bulaga is shown in a split screen: one screen features the “cast” of Juan for All who are filmed in the province, while the second screen shows the studio hosts. The hosts from the studio in Broadway and from the set in the province freely interact, thus, giving birth to the first ever Kalye Serye (Street Series) in the Philippines. There was an episode during the Juan for All segment, where Yaya Dub was lip synching a Chinese sound clip but she got distracted towards the end. This was the time when the camera fixated to Alden, showing Yaya Dub and Alden on both screens. Due to the show’s “semi reality” set up, Yaya Dub was caught acting giddy with her eyes widening as she saw Alden “staring” at her from the Broadway studio. Her character was supposedly snobbish but that moment was apparently the “first time” she was caught smiling. The other hosts started teasing her and Alden and that’s how the Aldub love team came about and it has made noise in the social media ever since. It is a reality show slash scripted series. How is this so? The first set of hosts stay in the studio, the other set of hosts are sent to different provinces for a segment and these hosts are playing in characters. This is where the script comes in. There is a story line, however, their dialogues play along memorized lines, dubsmashes and tons and tons of adlibs. Studio hosts also chip in during the “characters'” conversation so we can say that “play time” is also part of the story. It is like a comedy/drama show within a noon time show. Wally Bayola and the other cast go on set in their characters. As they go on with a story, the studio hosts are “inserted” into the storyline, wherein they comment or react to the cast’s dialogue or reactions, making it appear a “reality” show. and the crazy thing is, this series go on live! So the audience are able to see raw footages and some uncalled for scenarios that the noon time show’s hosts, both on set and in studio, were able to convert to hilarious scenes. Since Yaya Dub is considered a “field character,” she has never met Alden in person yet. So how did the love team flourish? Through split screens. Yes. They manage to communicate through the screens fixed on the studio and on set. And no, they have never said a word to each other but you see them use flash cards to express themselves. You see them waving to each other, blowing kisses and feeling all happy. Fans are also part of this “series” since you hear their voices in the background and you see them there, too. With this kind of set up, everything feels actual hence, the kilig between Alden and Yaya Dub appears true. Since Yaya Dub is a dubsmasher, another mystery to her character is the sound of her voice. Has anyone ever heard of Yaya Dub’s voice yet? As far as we know, no one yet. All the other characters from the Kalye Serye are able to speak dialogues but Yaya has never spoken once. What does she do? She dubs sound clips relevant to the discussion. If not, she writes on a flash card. We see her dance and lip synch but we never actually hear her talk. Like what I said, the story is light and presented in a hilarious manner. There are no heavy mysteries to it, no drama, no killings no over acting kontrabidas and the audience are also involved in the story — an experience that has never been given to fans before! But one moment we are all waiting for is the day Aldub will finally meet. We know that the “love team” is scripted that started with the teasing, but with the seryes’s style of blurring the lines between which is scripted and which is not, we can’t help but wonder what is gonna happen next. Will we finally see a real spark between them? Will we finally hear Yaya’s voice? Or could Aldub’s tears and flash notes be real? Sorry, but Alden allegedly deleted this post from his official Twitter account a few seconds after posting it. But come on, we know who MM is, right? That is Yaya Dub’s alter ego: Maine Mendoza. And here is something Aldub fans can cheer for: apparently, sources say that Alden’s twitter account has been working properly and has never been hacked. ← Should the Philippines legalise Medical Marijuana? not sure if they have gone to the provinces mostly they are visiting the barangays of metro manila most of the time most of the tine the farther they visit are the neigbhoring provinces in luzon only.